Jupiter is 365 million miles from Earth. That really has nothing to do with anything, but it's true. Anyway, on with the tech news. 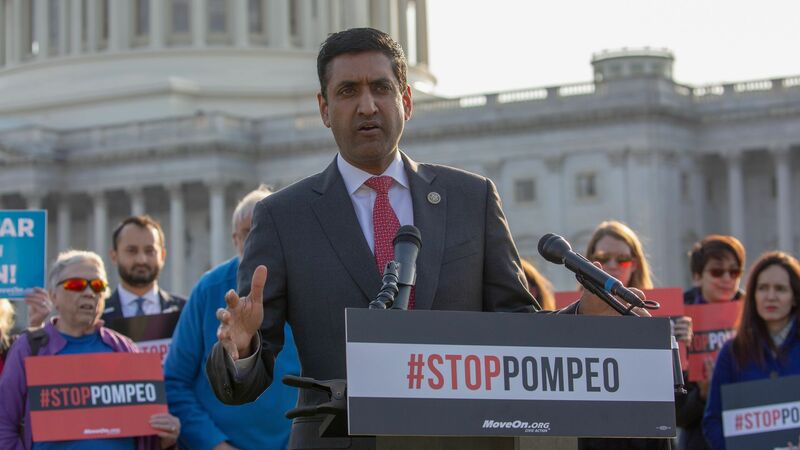 Rather than letting tech jobs head jobs overseas, Rep Ro Khanna thinks he has a better idea: Send them to the Midwest. As David McCabe reports, the Silicon Valley congressman is working with private industry as well as individual tech figures to build out a tech job-training program in a small Iowa town. The big picture: Both lawmakers and the public at large are paying increased attention to the disparities between tech hubs like Silicon Valley and Seattle, which have enjoyed massive economic booms, and the rest of the country. Details: Khanna, whose district includes part of the area south of San Francisco, will travel to Iowa this week to help roll out the initiative. The plan is to create a pipeline between talent in Jefferson, Iowa, and an Accenture-owned software company called Pillar Technology (with offices in Michigan, Ohio, Iowa, and Palo Alto, California). Khanna said in an interview this week that he connected an executive at Pillar with people in tech, including Microsoft CTO Kevin Scott — who is donating some of his personal fortune to fund scholarships for students in Jefferson. “In my view, if this works, if this can be seen as a Silicon Valley-rural partnership that creates jobs [and] economic opportunity, [then] it is a win-win [and can be replicated]. … You could really start to bring back a lot of the jobs that were outsourced and you can start to empower communities across America,” he said. The event will involve representatives from Google as well as smaller firms, according to Khanna’s office. The effort also includes public funding, according to the Des Moines Register. Khanna has spent some of his first term visiting parts of the country that the tech-driven economic boom has left behind, including parts of West Virginia and Paintsville, Kentucky. Yes, but: Most members of Congress focus on creating jobs in their own districts, not many states over. Khanna defends his work, saying his constituents will welcome it. He said people in his district worry about how rapid growth in the Bay Area had increased home prices and ramped up traffic, and voters supported local candidates who share those concerns in the recent midterms. Speaking of smaller U.S. areas finding a place in tech, Axios' Kia Kokalitcheva has a story this morning on how Indianapolis has carved out a niche in software. Indianapolis made headlines in 2013 when Salesforce acquired local software company ExactTarget. But the city’s software industry has a long history of success. “A lot of innovation centers you can trace back to a company or two,” former ExactTarget president Scott McCorkle tells Axios. In 1997 IBM acquired Software Artistry, where McCorkle also worked, for $200 million. Software Artistry’s alumni went on to seed a vibrant local enterprise software industry. More recently, a number of ExactTarget’s former executives have formed High Alpha, an organization that helps hatch startups and funds them, including McCorkle’s new company, MetaCX. With $14 million in new funding, MetaCX aims to help business software vendors better track their customers’ usage and satisfaction. The big picture: There’s a growing effort to create and promote tech jobs in the heartland, but some cities like Indianapolis are already tech hubs in their own rights. In July, Microsoft president Brad Smith called on Congress to govern the use of face recognition. Now, he's getting more specific. Why it matters: Widespread use of the technology raises issues ranging from bias and discrimination to privacy and human rights. Smith says laws are needed to address each issue. On bias and discrimination, Smith said that legislation should require transparency about the technology being used and its limitations. It should also allow for human review and third-party testing to ensure the technology is not being used in a discriminatory manner. On privacy, those employing facial recognition should have to provide notice and at a minimum, let patrons know that by entering an establishment they are consenting to such use. On human rights, Microsoft said the most pressing issue is the potential for constant government surveillance. To protect against the erosion of democratic freedoms, Microsoft said ongoing surveillance of individuals should be allowed only with the granting of a court order or in cases of an emergency with imminent risk of death or injury. Speed matters: Smith said the time to act is now, calling on governments to pass laws by next year. "Unless we act, we risk waking up five years from now to find that facial recognition services have spread in ways that exacerbate societal issues," Smith said in a blog post. "By that time, these challenges will be much more difficult to bottle back up." Our thought bubble: The big question is whether Microsoft will restrict the sale of its facial recognition technology to companies and governments that commit to these principles. Microsoft, for its part, was less than clear on that front. "We’re moving more deliberately with our facial recognition consulting and contracting work," the company said. "This has led us to turn down some customer requests for deployments of this service where we’ve concluded that there are greater human rights risks." Qualcomm is once again trying to crack the PC market, this time with a dedicated chip. What's new: The 8cx, as the PC-specific chip is known, is designed to offer better graphics performance, support for more memory and arrive on computers in the third quarter of next year. In the past, Qualcomm has just used a version of its high-end smartphone chip. Several models have launched over the past couple years, but they have seen only limited release and decidedly mixed reviews. "We’re not going to give up on the PC business." Why it matters: Though a smaller market than smartphones, PC chips could be a nice growth area for Qualcomm, if it can grab significant share. But that's a big if. History lesson: Back in the early 2000s there was another effort, Transmeta, aimed at challenging Intel by promising better battery life, albeit with some compatibility and performance trade-offs. They succeeded in pushing Intel to do better on battery life, but failed to win much business for their own chips. Analyst Patrick Moorhead said Qualcomm's chip theoretically addresses a quarter to a third of the laptop market, though it's unclear how much of that market Qualcomm will be able to get. Historically Intel has done a very good job of combatting competitive threats. It's Pearl Harbor Day and National Cotton Candy Day. Softbank has hired Facebook veteran Kirthiga Reddy as its first female partner. DocuSign announced a series of management and board changes, promoting marketing and strategy chief Scott Olrich to COO and naming Loren Alhadeff, a 10-year company veteran, as chief revenue officer. Facebook posted a year-in-review that will differ entirely from every other review of Facebook's year.